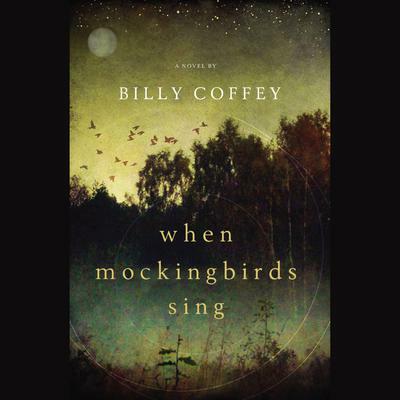 Billy Coffey has been compared to both Flannery O'Connor and Shirley Jackson. Journey with him to Mattingly, VA, and discover what marks the boundary between a miracle from God and the imagination of a child. Leah is a child from Away, isolated from her peers because of her stutter. After her family moves to Mattingly, she begins painting scenes that are epic in scope, brilliant in detail, and suffused with rich, prophetic imagery. When the event foreshadowed in the first painting dramatically comes true, the town takes notice. The town minister is unraveled by the notion that a mere child with no formal training may be hearing from God more clearly than he does. While the town bickers over what to do with this strange child, the content of Leah’s paintings grows darker. Still, Leah insists that the Rainbow Man’s heart is pure. Includes a sneak peek at Coffey's novel The Curse of Crow Hollow.